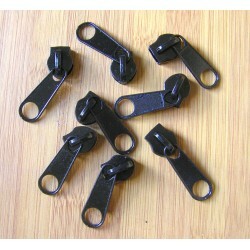 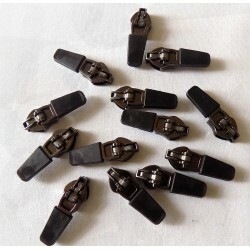 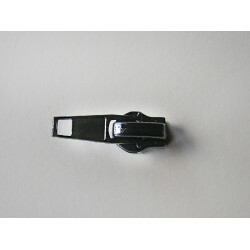 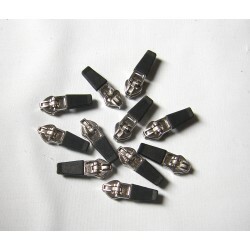 Zip sliders for waterproof zip tape size 5 . 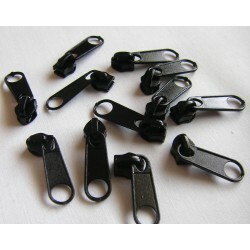 This kind of stronger technical zip is often use for sport garment ,outdoor garment , tents . 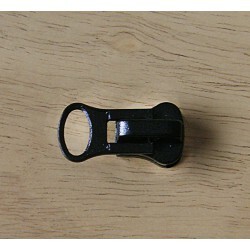 It is better to replace only slider , than replace whole zip in this kind of garment . 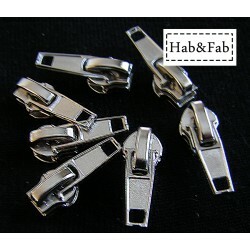 In Hab&Fab You can find two colors of sliders for that kind of zip , black and silver . 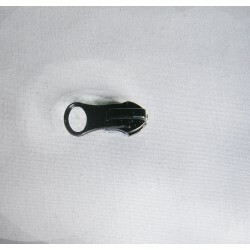 waterproof slider There are 9 products.